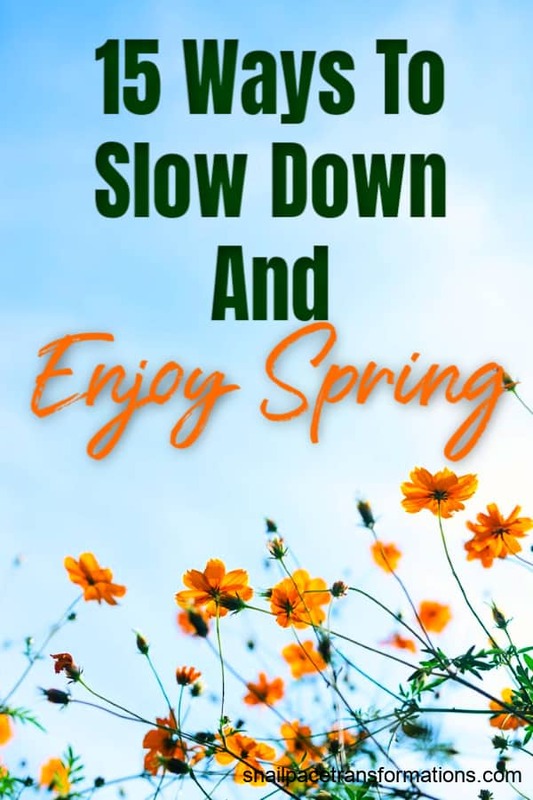 Don’t let a busy lifestyle steal those precious springtime moments–slow down and enjoy spring with this list of 15 activities. Learn how to prioritize self-care this spring! Last spring my husband and I took a trip in our minivan camper to the Monongahela National Forest area of West Virginia. On the hiking trails we spotted spring bloom after spring bloom. It was such a beautiful reminder that winter had finally come to an end that we plan to take another spring blossom hunt this year. You too can do the same. As soon as you see the first sighting of a spring bloom, pick a local hiking trail or park to go and explore spring blooms. Where we live in Indiana, all but one locally owned ice-cream parlor shut in late fall only to reopen in early spring. We look forward to the opening day all winter long because not only does it mean we get to enjoy yummy ice cream treats, but it also means winter has ended. If the ice cream joints in your neighborhood don’t close in spring, then springtime is the perfect time to go on an adventure in search of a new one to try (here is how I find new restaurants to try and places to explore). Waterfalls are at full rushing water capacity during spring runoff. 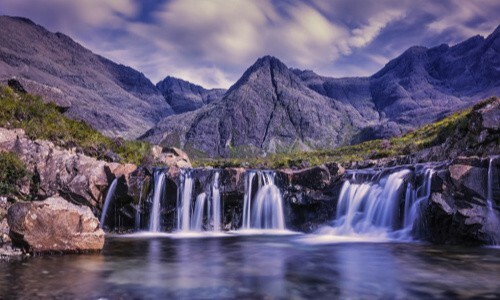 If you live in the USA and want to find one near you visit the site Onlyinyourstate.com and pick your state, then enter waterfalls into the search area. Nothing gets a green thumb more excited about spring than a visit to the local garden center to see what plants are new this year and to start brainstorming new gardening ideas. Even my brown thumb self loves visiting garden centers this time of year and dreaming of what my garden could look like if only I could figure out how to garden successfully. 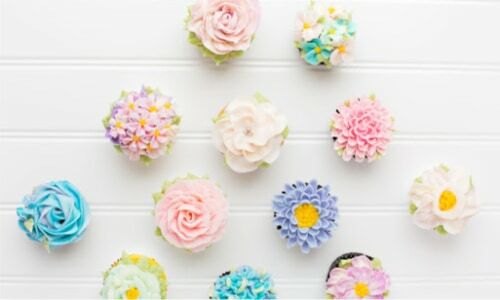 At least once during the spring season, I like to bake a batch of flower-shaped or bunny-shaped sugar cookies and cover them with spring colored icing and sprinkles. Here are my tips for baking fabulous sugar cookies. There is just something about a bike ride on a warm spring day. If you don’t own a bike, see if you can borrow one from a friend or rent one. If you do own a bike, a great accessory is one of these baskets for the front of your bike, it can even fit a small dog so you can bring them along to enjoy the spring air as well. There is just something about pumping your legs to make a swing go higher and higher that brings back childhood joy almost instantly. Not sure you are up to sitting on a child swing? Try this hammock chair swing. I added one to my Amazon wishlist in hopes that the kids and hubby might splurge on one on Mother’s Day for me. It will give you the swing feel, but is cozy enough to curl up in and read a good book (and here are a few ideas for how to save money on those books). Easter Candy doesn’t have to just be for kids! Make sure to pick out a favorite of yours too. Be sure to fully enjoy it by eating it while undistracted–no TV on, no laptop going, no book, just you and the taste of your favorite Easter treat. Take the time to declutter your dining room table or another surface that you pass by several times a day. 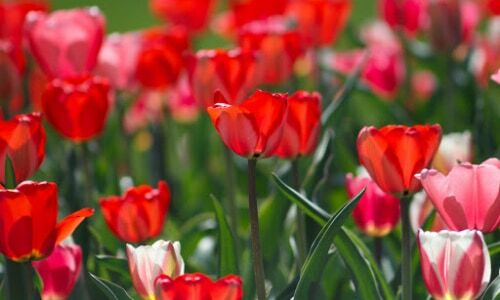 Fill that spot with a vase full of tulips or daffodils–then make sure to take a second to stop and enjoy their beauty each time you pass them. Want a spring floral indulgence that will keep on giving? Consider purchasing a packet of wildflower seeds along with your bouquet and plant them in your backyard so you can enjoy blossoms a few weeks or months down the road. At least once during the spring season I like treating myself one warm afternoon to my first iced coffee of the season to drink outside in the spring sunshine. Sometimes I enjoy it with a friend, sometimes alone with a book, other times I sip my coffee and people watch. If you love Starbucks, here is a list of places where you can earn Starbucks gift cards–often by doing things you already do in your day to day life. 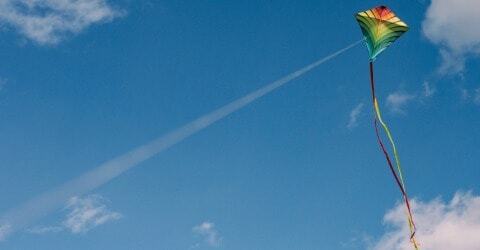 Bring back your childhood wonder by investing in a sturdy, yet inexpensive kite and going out on a breezy spring day to fly it. Spring is a time that birds return to create a nest and build a family. Why not give them a place to nest that you can observe? That way you can enjoy the sound of spring birds chirping and experience the miracle of new life. A basic ready-made cedar birdhouse isn’t all that expensive when you consider it will last for many years. Grab a big umbrella (I prefer golf umbrellas as they are super sturdy and roomy enough for two if need be) and head out in a light spring rain storm. Enjoy the sights and smells that rain brings out in nature. Make sure to take a few puddle pictures too! They are super fun and inspire so much creativity–your inner photographer will thank me. Perhaps where you live spring is a bit chilly. If so, see if you can budget in a weekend away to a slightly warmer area. Where we live we find if we drive even just six hours south, the temperature goes up dramatically. Airbnb’s are often more economical than a hotel and you can usually get a small condo for the price of an average hotel room. 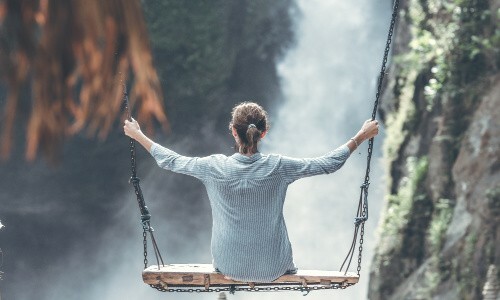 Now that your head is spinning with ideas for self-care activities you can do this spring, complete one more by taking some time to make your own spring bucket list. Clear an hour in your schedule and grab your favorite cup of whatever, along with a pen and a pad of paper and start listing ideas. 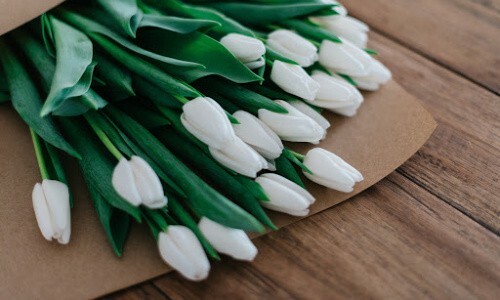 Don’t overwhelm yourself, spring is only so long, but think of perhaps half a dozen things or so that you want to prioritize and make happen this spring. Want to see what I get up to in my downtime and life? Follow me on Instagram. Does daily life seem overwhelming? 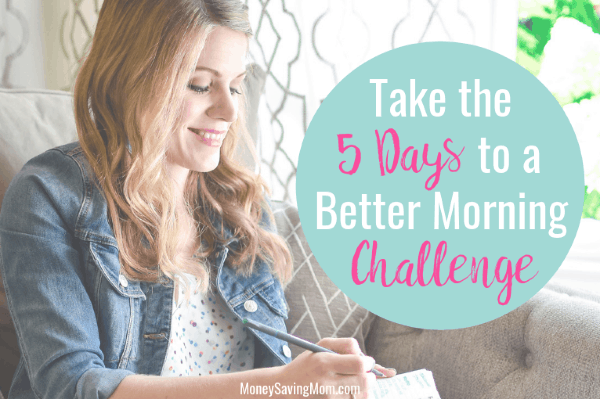 Take the free five day Better Morning challenge and start waking up feeling more in control of your day. Go here to sign up!